Had fun cardmaking with my 14 year old sister-in-law over the holidays. We didn't get nearly enough time to do it though...so many other things calling our attention! 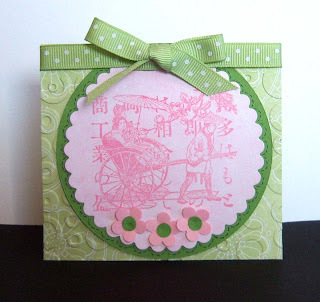 This card is a product of one of our cardmaking times. See, I knew you'd come up with something fabulous for that stamp! It's lovely!